University Hall at 1897 Sheridan Road. Northwestern joined 18 other universities in filing a Nov. 1 amicus brief opposing President Donald Trump’s decision to roll back the Deferred Action for Childhood Arrivals program. 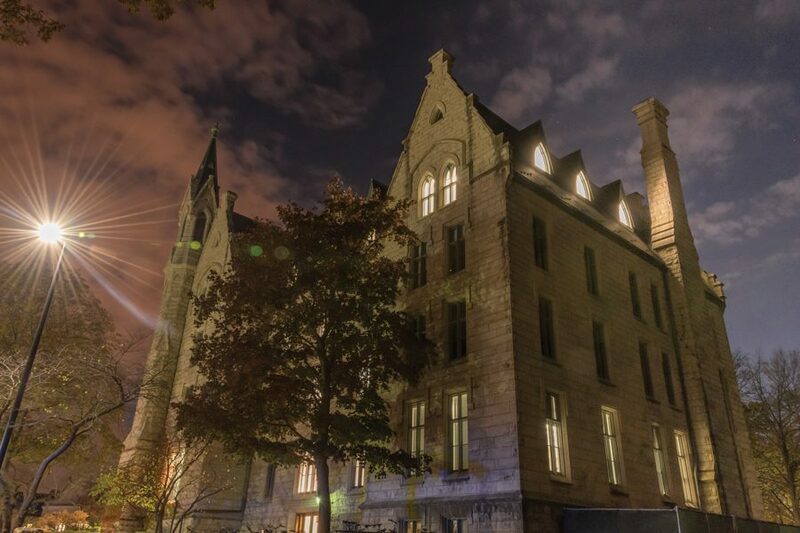 Northwestern, along with 18 peer institutions, filed an amicus curiae brief Nov. 1 challenging President Donald Trump’s decision to rescind the Deferred Action for Childhood Arrivals program. The DACA program was created by an Obama-era executive action, and protects “Dreamers” — undocumented immigrants brought to the United States before the age of 16 — from deportation. The Trump administration announced Sept. 5 that the program would end by March 2018. The brief, filed in federal district court in the Northern District of California, supports legal challenges by the states of California, Maine, Maryland and Minnesota to the Trump administration’s decision, University spokesman Bob Rowley told The Daily in an email. Other plaintiffs supported by the brief include the University of California system, six DACA recipients and the city of San Jose, California. Nearly 800,000 people have been approved for the DACA program since its creation in 2012. DACA recipients are able to live and work in the U.S. for renewable two-year periods without risk of deportation. “Ending DACA forces future scholars, innovators and leaders to choose between withdrawing to the margins of our society and national economy or returning to countries that they have never called home,” the brief said. Other universities participating in the brief include the University of Chicago and all Ivy League institutions. Provost Jonathan Holloway told The Daily on Tuesday that speaking out about DACA is “consonant” with the values of the University, and is especially relevant in the current political climate. University President Morton Schapiro previously condemned the decision to end DACA in a Sept. 5 email to students, in which he called the decision “deeply disappointing” and said the University was committed to protecting its undocumented students. The University also joined two other amicus briefs earlier this year in opposition to the Trump administration’s travel ban. By participating in the Nov. 1 brief, NU reaffirms its commitment to protecting its DACA students and creating a diverse learning environment, Rowley said. Holloway said the University’s support of DACA aligns with its dedication to educating students of different backgrounds. Many DACA recipients are “hardworking” and “well-deserving” individuals, he said, and also fit with NU’s efforts to bring in first-generation and low-income students.